Found 6 blog entries for January 2015. Friday, January 30th, 2015 at 10:52am. 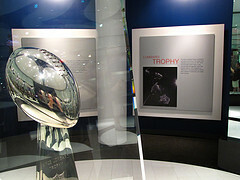 You might know that the Seattle Seahawks are going to destroy the New England Patriots this Sunday, but despite your fandom for the blue and green, there's probably some trivia you'd like to brush up on about your favorite team. Especially if you're one of the diehard Twelves, you've got to learn these five things about the Seahawks before they take on the Patriots at Super Bowl XLIX. Grab some Skittles and keep reading. 1. The logo was based off a real transformation mask made by the regional Kwakwaka’wakw tribe. Thursday, January 29th, 2015 at 10:57am. When you're ready to take the next step toward selling your home, Cary Porter & The Cascade Team are here to help. Our comprehensive real estate marketing plan will get your home seen by thousands of motivated buyers. Tuesday, January 27th, 2015 at 1:57pm. Sunday, January 25th, 2015 at 8:34am. Source: Matt McGee via Flickr Creative Commons. Super Bowl XLIX has come down to a tale of two coasts: East versus West, colonials versus pioneers, old world versus new. What’s the lowdown on the two cities duking it out on the gridiron? Why do Seattleites and Bostonians consider their town such a great place to live? What’s it like to live there? Most importantly, what signature food might Seahawks and Patriots fans snack on during the big game? Portal to the Pacific and gateway to the last frontier, Seattle has a lot more going on than coffee, technology and rain. Saturday, January 24th, 2015 at 9:01am. Looking for Beaver Lake homes for sale in Sammamish? The Cascade Team has agents who live and work is this great community. All homes currently listed for sale are displayed and broken down by price point, but if you have specific criteria you wish to search on, be sure to use our advanced home search tool here. If you are on a mobile device, be sure to check out our GPS enabled home search feature to see all active listed homes within your immediate vicinity. Start your new home search now. See Our Recent Trossachs Postcard? Here Are The Answers! Thursday, January 22nd, 2015 at 2:42pm. See Our Recent Postcard? Here Are The Answers! 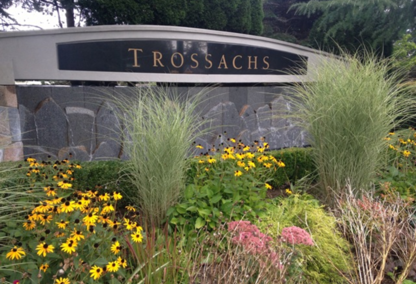 Q 1: How Much did the average Trossachs home value increase in 2014? A: The Average Trossachs Home increased by 8.5% last year. Meaning a home that was worth $700,000 in January 2014 was selling for $759,500 by then end on the year. A “Net” increase of almost $60,000 for a $700,000 home. Q 2: What is the price per square foot difference between new construction and resale homes? Resale homes are selling at $236.81 per sq ft. The average resale home was 3,261 sq ft and closed for $769,039.